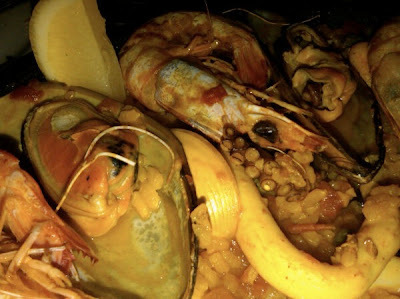 Before you freak out after looking at the price range, I must tell you that the $90 is super-massive Paella to be shared with four (or more) people. Most of the tapas are in the region of $15 and the main course menu (if you don’t order Paella) would be around $25. 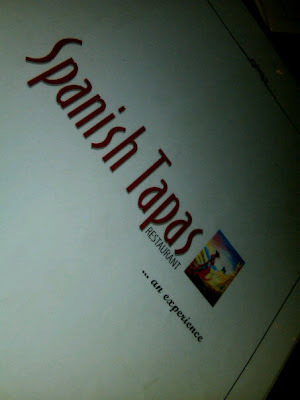 We actually managed to go to Spanish Tapas restaurant by pure curiosity. We always love to hang out at the café opposite the restaurant. We were surprised by the fact that it was a really nice and cosy atmosphere. The food itself was generally alright, borderline good. Since it’s a Spanish restaurant, we ordered 3 tapas and 2 breads. The first two were the all-time favourites, Chorizos and Tortilla Española. 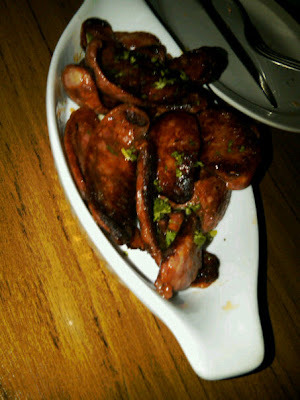 Chorizo is the grilled Spanish sausages. 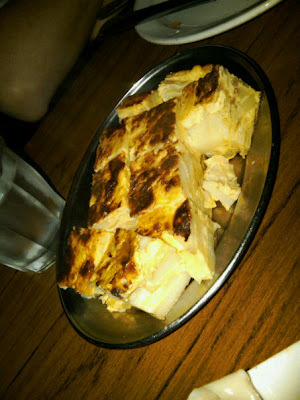 The other one was Spanish omelette with a big chunk of potatoes. 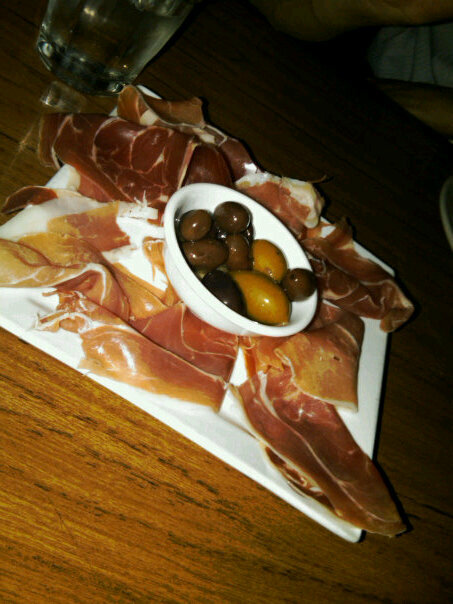 Very nice start to fill up the tummy to match the strength of Sangria! The last tapas of the day was sliced smoked lambs with Olives. 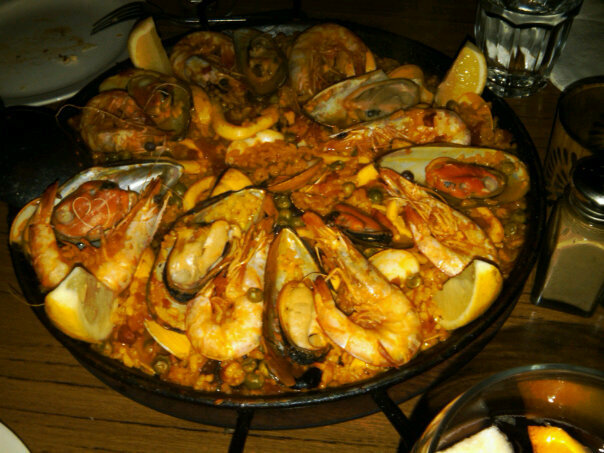 It is a very nice to get our tastebud going before the Paella arrives. 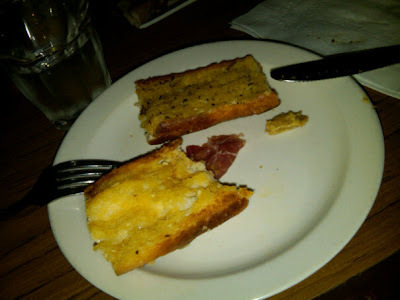 It also came with two gigantic loaves of garlic and herb breads. 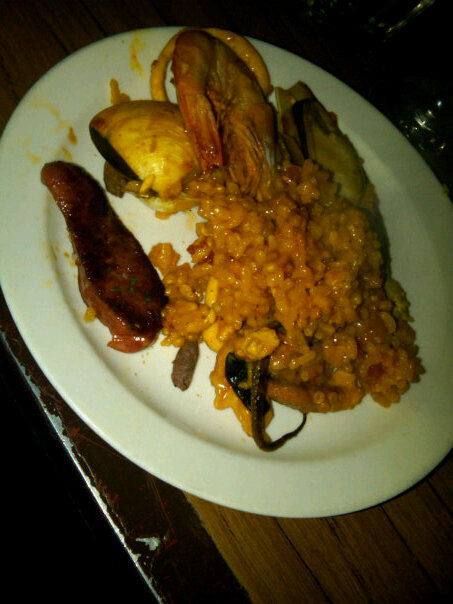 After 30 minutes, our main dish was out, Paella de Marisco. 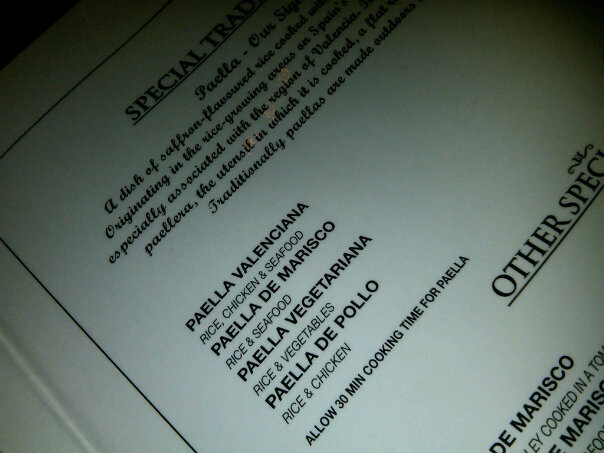 Description on the menu only listed it as Rice & Seafood. It is a lot more than that. It was served on a massive pan, a bed of rice in saffron with green veggies and tomatoes. Then, layers of calamari, mussels, clams, prawns covered it all. 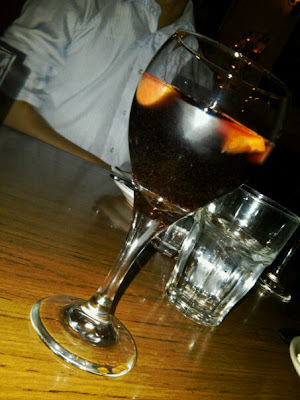 For drinks, like in any other Spanish restaurants, we ordered the Sangria. This one is a little bit of a letdown because it wasn’t strong and a bit watery. We also didn’t want to get desserts and chose to go elsewhere that we were more familiar with. There is a very nice Churros place in Glebe, called Chocolateria San Churro. It is actually a franchise (like any other places in Sydney), but it serves a warm and crunchy churros. I just realised that there was also a churros menu at this restaurant that I didn’t get the chance to taste. Btw, if any of you is wondering wtf churros is, then click here for the answer. 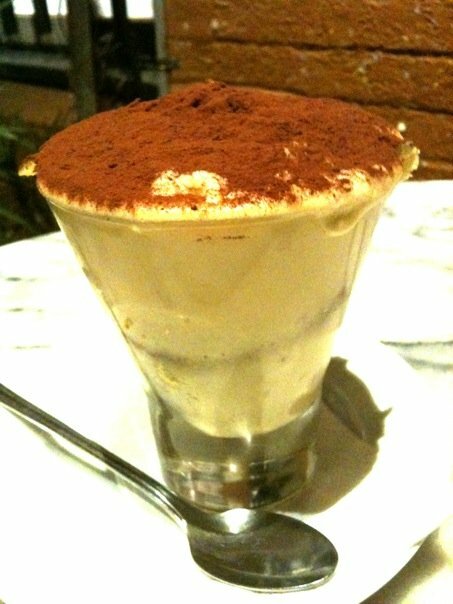 I also found that there’s a café, named Badde Manors, in Glebe that serves the best homemade Tiramisu.